New Hard Rock outfit, SLEEPKILLERS, is bursting onto the scene straight out of Jacksonville, FL with their self-titled debut album, due out January 25, 2019. With Sam Rivers (Limp Bizkit) delivering heavy, melodic bass lines and Damien Starkey’s (Puddle of Mudd, Saliva, Burn Season) haunting, passionate vocals, the group is rounded out with Bobby Amaru (Saliva) on drums and Adam Latiff (Puddle of Mudd) on guitar. “We picked Dirty Foot as our 1st single because we feel like it’s the track that embodies our sound the most on the album,” explains Rivers. “It’s got the melodic vocals mixed with all the heaviness, and that’s definitive to what our sound is. A tug of war between the two most powerful things in this world, love, and hate. 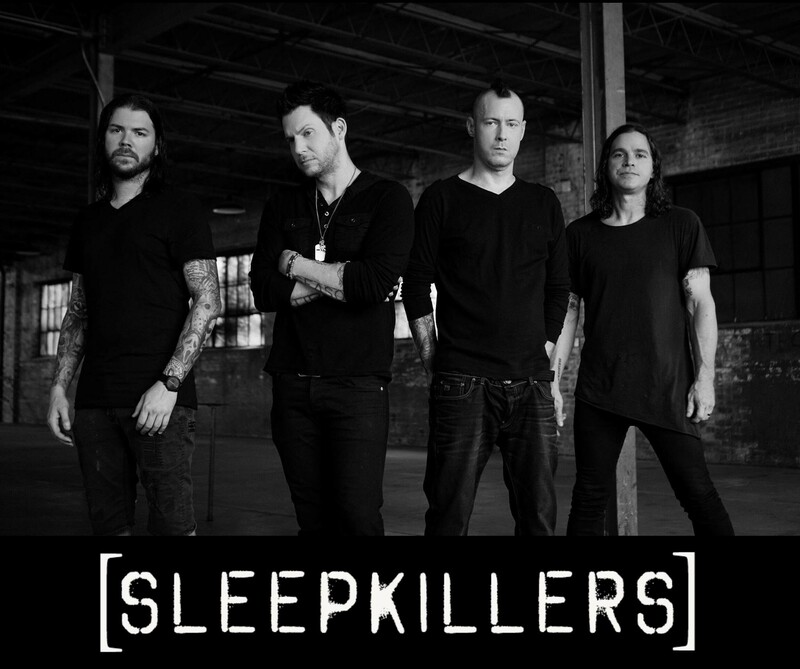 “SLEEPKILLERS originated out of the intense, insane love of conceiving songs that are raw and infectious. Two longtime friends who are both multi-instrumentalists decided to stop worrying about the demise of the industry that once supported their multi-platinum bands and starts birthing music precisely the way they envision it. With no managers or labels breathing down their necks, they found the ultimate freedom that brought them here in the first place. Who needs sleep when there is so little time to create in this life? ALWAYS. AWAKE.